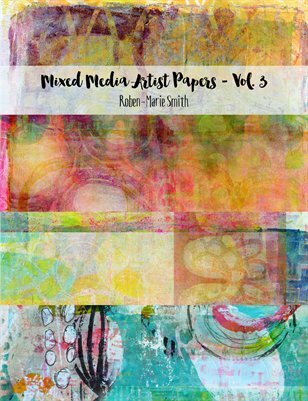 Mixed Media Artist Papers Vol. 3 is filled with an assortment of papers using my own Gelli® Arts prints. To give more options and offer the best value, each page is printed on both sides. Use these papers in your collage, trim shapes from them, create labels, mail art and more!